Cabin bulkheads and interiors are crafted from marine grade Airex closed cell polymer foamcore sandwich faced with solid timber. 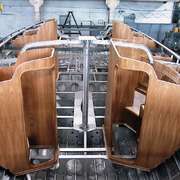 The weight savings for luxurious interiors is significant, thus contributing to the overall performance of the yacht. This technique lends interiors that have good fire performance (self-extinguishing for the foam core) thus adding to the safety at sea. They will not degrade in time, do not squeak when sailing, and are extremely durable, thus preserving the owner's investment. 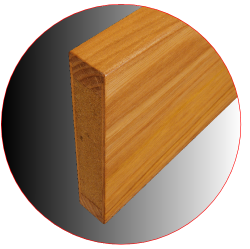 All frames and entourages are made of solid timber to receive the marine quality hinges and fixtures. 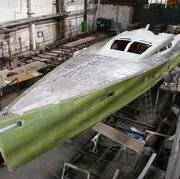 Futuna Yachts building naval yards are above all focused with safety and structural integrity. 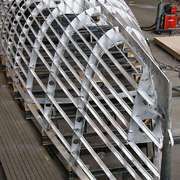 Building methods are in the long tradition of Futuna's aluminum marine builders, combined with the latest high tech composite tooling and manufacturing know how and the highest quality control standards. The aluminum hull and deck structure guarantee long service life, providing exceptional rigidity and great resistance to sudden impacts. The deck is constructed of a vacuum-bonded sandwich of GRP and marine grade closed cell polymer foam of type Airex (contains no CFCs) of a total thickness of more than 25 mm. Chopped-strand and uni-directional cloth are used in the lay-up, impregnated with vinylester resin and an NPG gel coat, offering optimum rigidity, durability, finish and thermo-acoustic insulation. Cockpit, side decks, and deck are laid with traditional teak. The hull is joined to the coach roof and cockpit using marine high strength mono component polyurethane adhesive of Sikaflex 292 type, reinforced with bolts to ensure the two surfaces bond completely. This adhesive has been widely tested and proven in the marine and super yacht industry to provide perfect mechanical bonding as well as total water-tightness. The keel is a two-part construction, composed of an aluminum foil and a lead bulb. It can be either fixed or lifting vertically, as client requires. The rudder stocks are of F16PH-grade stainless steel rod, whilst the foils are of a composite construction, giving them maximum rigidity with minimum maintenance. The bearings are self-aligning, offering minimum friction and optimizing the sensitivity of the helm. The Futuna line has been designed to combine sailing performance, safety and comfort.